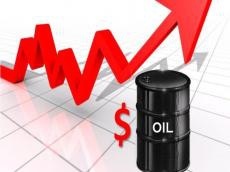 Oil prices rose on Tuesday on escalating concerns over potential supply shortages, with Brent crude leading the way as hundreds of oil workers in Norway were set to strike later in the day, Reuters reports. Brent crude LCOc1 added 55 cents, or 0.7 percent, to $78.62 per barrel by 0638 GMT, following a 1.2-percent climb on Monday. U.S. light crude futures were up 47 cents, or 0.7 percent, at $74.32. Hundreds of workers on Norwegian oil and gas offshore rigs are due to strike on Tuesday after rejecting a proposed wage deal, a move which will likely affect the production of at least one field, Shell’s Knarr. The market has grown concerned that if the Saudis offset the losses from Iran, that will use up global spare capacity and leave markets more vulnerable to further or unexpected production declines. “The bottom line becomes the available spare capacity within OPEC ... and the markets have started to focus on that,” said Victor Shum, vice-president for energy at IHS markets in Singapore. “It is likely that concern will support prices all through the summer, while demand continues to be strong during the summer peak,” he said. Libya’s national oil production fell to 527,000 barrels per day from a high of 1.28 million bpd in February following recent oil port closures, the head of the National Oil Corporation said in a statement on Monday. In Canada, an outage at the 360,000-barrel per day (bpd) Syncrude oil sands facility reduced flows into Cushing, Oklahoma, the delivery point for U.S. futures. Money managers raised their bullish bets on U.S. crude in the week to July 3, the U.S. Commodity Trading Commission said on Monday.